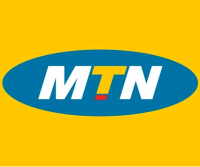 Intel Corporation and MTN Group have signed a memorandum of understanding (MOU) which will see the companies collaborate to accelerate the deployment and penetration of broadband access in Africa and the Middle East. The collaboration covers a wide spectrum of initiatives, including areas such as broadband access through WiMax deployment, affordable PC bundles for the ordinary African consumer and entrepreneurs as well as cost-effective internet browsing devices. Other areas of collaboration include joint efforts by the MTN Foundation and Intel Education’s Corporate Social Responsibility (CSR) initiatives to equip students and teachers with technology skills. These initiatives will contribute to the development of young people in Africa by equipping them with up to date maths and science skills as well as life skills such as critical thinking in the current knowledge economy. The memorandum underpins the importance of industry leaders such as Intel and MTN to collaborate in order to bring sustainable ICT development to the region. “In this way we can accelerate Africa’s entry into the 21st century knowledge and digital economy which will give its citizens economic opportunities similar to those in developed countries,” concludes van Schalkwyk. Through its World Ahead Program, Intel strives to improve education, health care, entrepreneurship and government services in developing countries worldwide by accelerating access to computers, connectivity and localized Internet content.